If you are planning a trip to Cabo and have not decided what activities your vacation should include, you are in luck! Cabo and the area surrounding it offer a variety of great things to do and all are likely a short trip from your resort. Depending on the size of your group or to just give you some added flexibility, you may even want to consider renting a car during your visit. However you choose to get around Cabo, make sure you include time for these 5 fun things to do in Cabo! 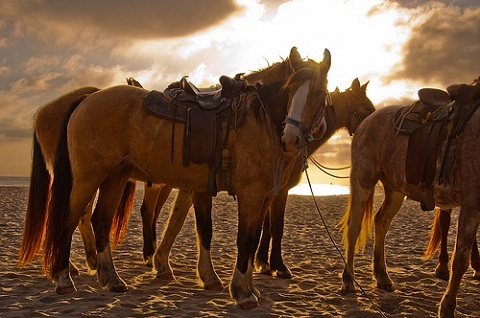 Located at the southern-most part of the Baja California Peninsula, Cabo has large desert areas and mountain terrain, both providing excellent opportunities for horseback riding. With several local equestrian centers, it is possible to take a horseback ride to experience breathtaking views of the Pacific as well as Cabo’s stunning canyons and mountains. 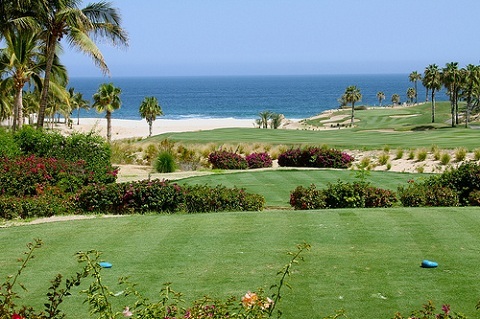 Many visitors are drawn to the globally renowned golf courses of the Cabo area. Between Cabo San Lucas and San Jose del Cabo, there are no fewer than ten excellent golf courses along a 20-mile coastline. These courses are surrounded by the stunning scenery of the area and many have been designed by the some of the world’s top golf course designers including Jack Nicklaus and Pete Dye. Whether you are a beginner or an avid golfer, a round of golf in Cabo is worth the time and expense. Make sure you don’t get to the end of your trip without having made a visit to the El Arco de Cabo San Lucas, or ‘Land’s’ End’ as it translates in English. 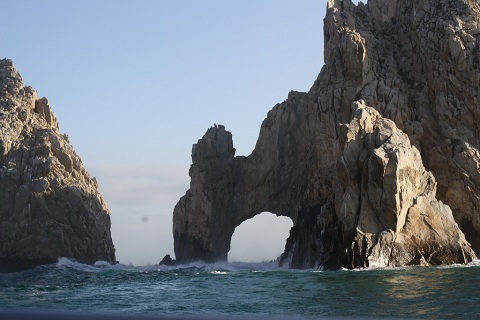 The arch is located at the Southern most point of the Baja Peninsula and is a most spectacular natural feature. Millennia of erosion have resulted in a triumphant looking arch that sits out proudly in the sea. Be on the lookout for seals and sea lions which are also common in the area. The arch has become a local symbol of Cabo and is one of its most photographed sites, so remember to bring your camera! 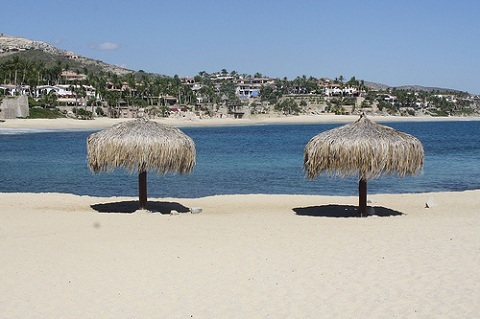 Take a day to visit and explore the beautiful beaches surrounding Cabo. With the Pacific Ocean to the West and Sea of Cortez to the East, the Cabo peninsula has a variety of beaches waiting for discovery. Visitors can opt to enjoy the secluded, pristine beaches of the Pacific along the Western coast. Along the corridor, you can head up the Eastern coast toward San Jose del Cabo for beaches offering a wealth of activities such as diving, snorkeling and surfing. The whole Southern Baja Peninsula is littered with traditional villages and towns. One of these villages called Santiago, should be on every visitor’s ‘must see’ list and is located about an hour’s drive from San Jose Del Cabo. Close to Santiago are some natural hot springs. Just reaching the springs is an adventure in itself that involves a hike through some unique rock and boulder formations. 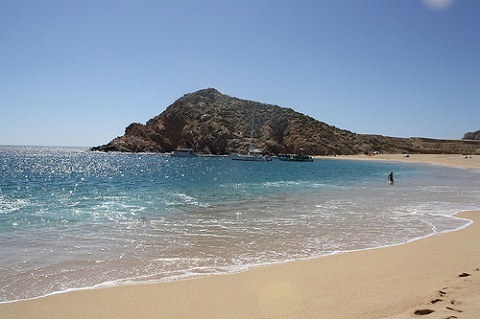 With so many great and accessible things to do in Cabo, which ones will you choose? Helen Pritchard writes for both netcars.com, a used car classified website, as well as Car Finance 24/7 which specializes in helping people obtain car finance deals. She loves traveling throughout Mexico.